We specialise in supplying used Port wine barrels and other used fortified wine barrels (including sherry, Madeira and Muscatel). We receive barrels from port wine producers in varying qualities and all and refurbished and fully inspected and pressure tested before they leave our facility. Refurbishment involves replacing any broken staves with replacements taken from the same batch, sanding and cleaning the interior and replacing hoops where appropriate so that the barrels are 100% ready to be reused with absolute confidence. Whilst we generally have some limited stock of used Port wine barrels (and other fortified wine barrels) from across our range, for larger orders of 50 barrels of more we generally require several weeks lead time in order to ensure that the barrels can be sourced and refurbished. For our larger clients we can only guarantee supply based on programmed regular deliveries over a 12 month period, so for example we may deliver a 40’ container once every two months, rather than one large annual delivery. 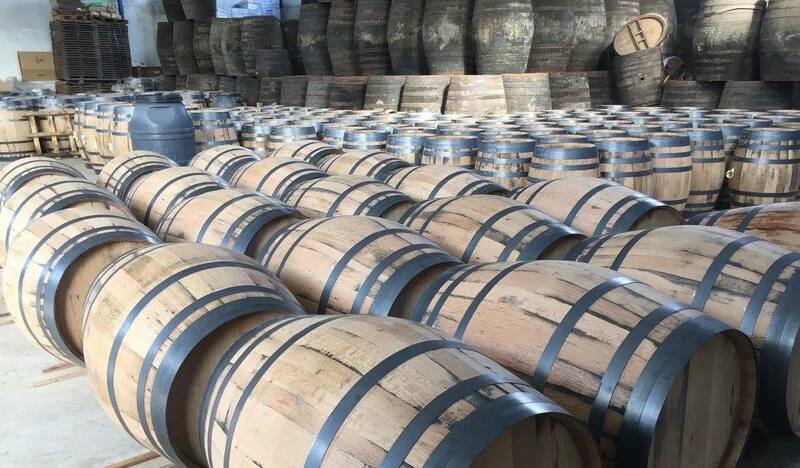 This is because we need to be able to source our supply of stock of used port wine barrels several months or even years in advance in accordance with our clients’ requirements. Many of our clients are smaller craft distillers who only require a small number of used port wine barrels, which we can supply in single pallets if required. We are also a supplier of virgin oak barrels and a supplier of decorative wooden barrels. We are a supplier of used port wine barrels (Tawny Port in sizes 40, 128, 225 and 500 litres & Ruby Port 40, 128 and 225 litres) as well as used sherry barrels (40, 128, 200, 250 and 500 litre) and used Madeira barrels and used Portuguese brandy barrels in various sizes. If there is a particular size of used barrel that you require, please enquire for more details. Click here to download our used_barrels_prices.